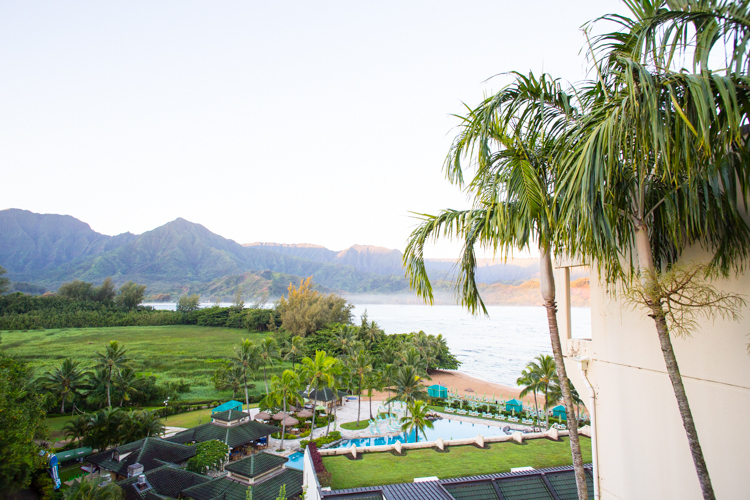 Where to Stay in Kauai - Four Favorite Resorts - Live Free Creative Co. When we began planning our anniversary celebration to Kauai, I was immediately overwhelmed by the vast array of Kauai Resorts, all touting the best locations, service, and experience. While we usually book low-key and more quirky AirBnb properties when traveling, there was something luxury feeling about booking in a resort that was appealing for an anniversary occasion. We finally settled on two resorts for our trip, one in the North, and the other in the South, so we could see different parts of the island. While we visited, we also made a point of visiting a few other resorts to walk through and dine in. We wanted a little research for our future return trip someday, maybe with the kids. Here are my top four Kauai Resorts, based both on our stay, and on visiting the other properties. I know there are a hundred other places to stay, but I appreciate having narrowed down my options at least a little bit and hope this first-hand account helps you find the kauai resorts that you are looking for! 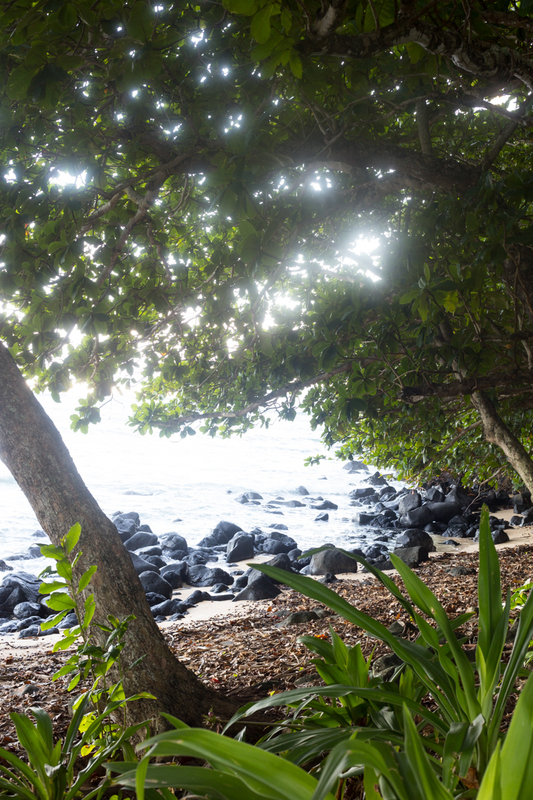 Staying on the North Shore of Kauai gives great access to the Na Pali Coast hikes, Hanalei Beach and Pier, and some of our favorite beaches of the trip. There isn’t as much of a town hub feel in Princeville, but the small shops and restaurants along the highway are sufficient for a few days. And don’t miss a daily açaí bowl at Wishing Well Shave Ice. The couple days we spent at the St. Regis were BEYOND. I loved every minute we spent at this luxury resort, and felt like the experience really met my high expectations. 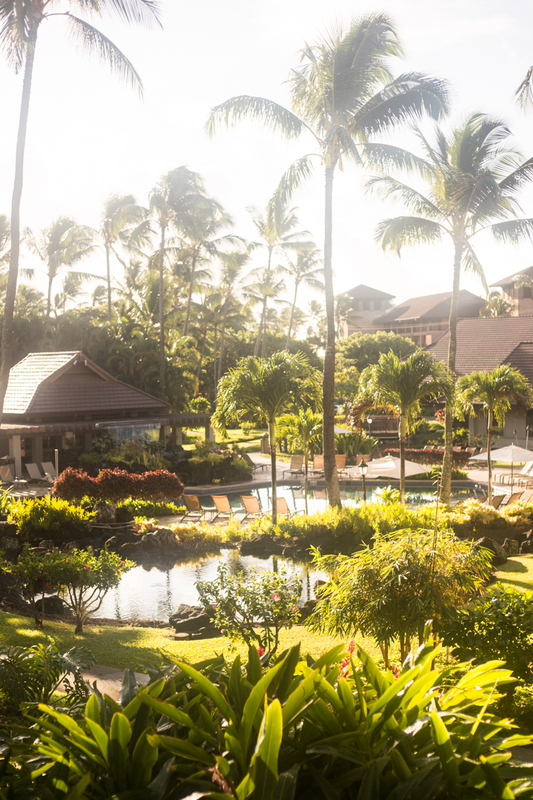 The resort is definitely a splurge for shoestring travelers like ourselves, but I would make a point of going back, even for just one night, when we return to Kauai someday. The resort is beautiful, private, and serene. It doesn’t feel like a family-oriented destination, which made it perfect for an anniversary celebration. The pool overlooks a private beach and out onto the ocean. Everything in the back of the resort is oriented for watching the incredible sunsets. If staying a whole week in the St. Regis is out of your price range, I suggest trying it out for one or two nights as a special occasion gift to yourself. Then, while you are there, soak in every luxury. After a few days in the North, we headed through Lihue to eat shave ice, hike Hop’i’i Falls, and ride a Helicopter. Then we ventured down to Poipu to have a home base near to more hikes, beaches, and adventures we wanted to explore. 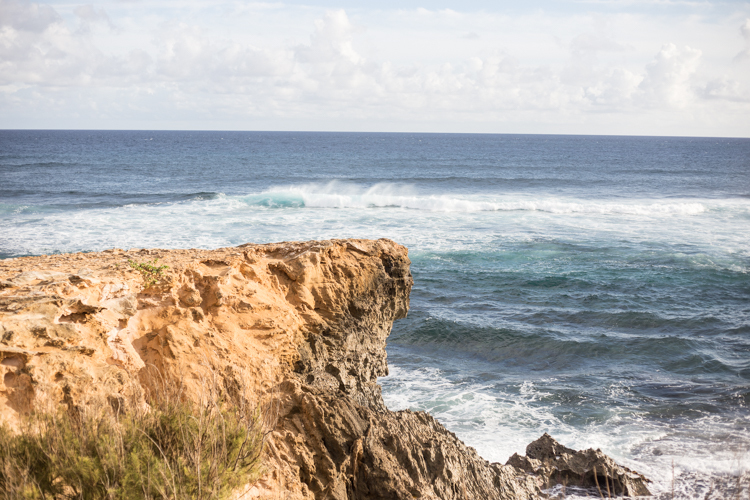 While on the South shore, one of the hikes we wanted to explore began at the cliffs near the Grand Hyatt. We took a few minutes to check out the resort and were very impressed. 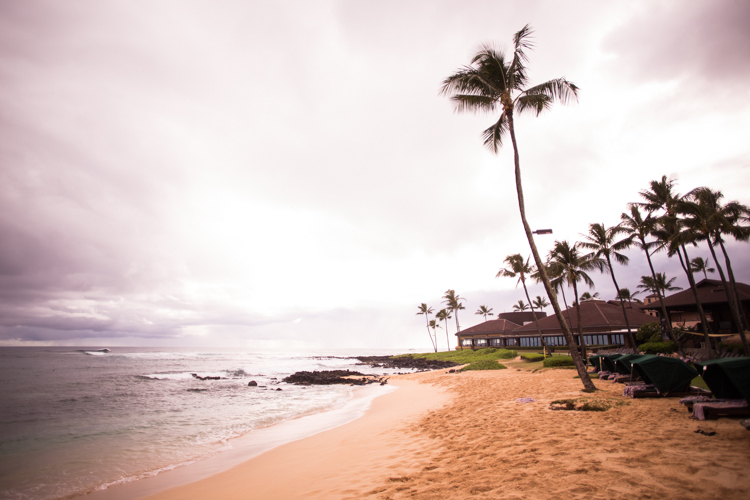 The Hyatt feels luxury, like the St. Regis, and sits on the far end of the Poipu beaches. The beach area is long, wide, and terminates into gorgeous cliffs that are famous for jumping, and also nest some great trails to explore. I loved the location, and the ease to get from the hotel to the expansive beach area. The pool looked beautiful, and we noticed several nice restaurants within the resort. It didn’t have as many families as we saw in other resorts, and because of that noted this may be another great place to stay if you’re seeking some adult relaxation. On one of our last nights in Kauai, we went over to the Marriott Resort in Poipu for dinner. The restaurant was right on the beach, overlooking a beautiful bay. On our way through the resort to the back, we loved the winding pathways, deluxe family-style adventure pool, and beautiful landscaping. We noted lots of families with young kids, both at the pool and at the restaurant for dinner. The meal was delicious, and we both agreed that based on the good family vibes, cool pool area, and warm feeling staff, this is the resort we will most likely choose when we return someday with the kids. If you are looking for a family-friendly resort on the South shore, this could be right for you, too! The resort we had chosen in Poipu was the Sheraton Resort. The room was nice, although ours was in the furthest back corner of the resort, which made getting to the beach a little less convenient. We did enjoy having a pool right near our room that seemed less-popular, so it was quiet and relaxing. The pool right on the beach was overrun with families. We made a mental note of it being super family friendly, but also quite busy! The concierge was kind and offered lots of options for events and activities. We passed on the Luau, which is said to be one of the best on the island, and instead made reservations for a fun lei-making activity and planned a boat tour of the Na Pali Coast. While we enjoyed our stay, after walking through a couple other South Shore Kauai resorts, we probably would book either the Marriott or the Hyatt for another trip. 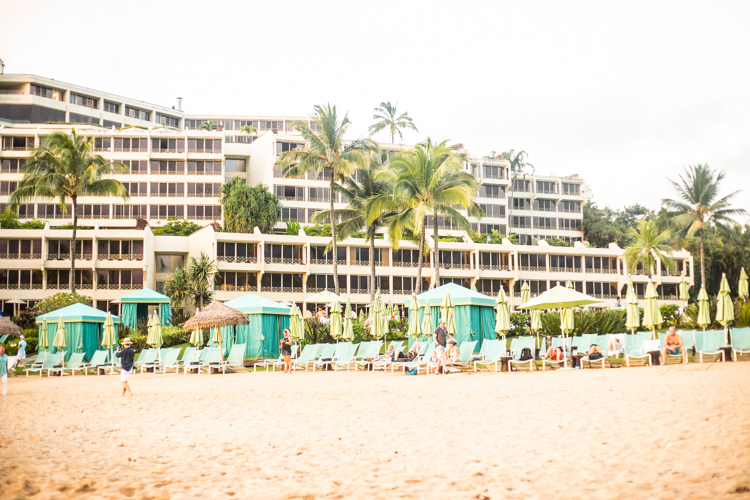 With all of the hundreds of options for accommodations and dozens of kauai resorts, it was nice to get some eyes-on-the-ground insider looks at a few of the largest and most popular options. Along with all of the awesome resorts, we also love staying in smaller, more local Airbnb homes and venues and I found a few that look amazing to take a look at next time. If you haven’t tried AirBnb, you can get. $40 off your first stay by signing up HERE.